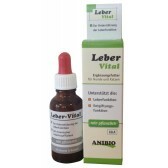 There are several herbal wormers on the market these days, but unfortunately many are toxic to the super-sensitive physiology of dogs and cats. FourGuard Herbal Parasite Formula is a revolutionary breakthrough in holistic veterinary medicine. This scientific blend of certified organic, naturally viable, potent herbs captures the wisdom of both modern and ancient herbal medicine. 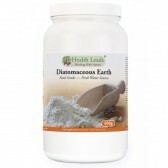 Using a proprietary mixture of four of the world’s most powerful herbal de-wormers – Gentian Root, Black Walnut Hulls, Cloves, and Papaya Leaf. Many dog worms and cat worms develop from infected eggs ingested by fleas. The fleas in turn are digested by your pets, which begins the vicious circle turning around and around. So control of fleas is very much tied to the management and prevention of internal parasites... and vise versa. During a flea infestation, your pet can become re-infected with worms (especially tapeworms) in as little as two weeks. That is why we strongly recommend a two-fisted approach to the problem. Please take a moment and look at TripleSure and TripleSure Neo. NOTE: One "dropper" equals one squeeze of the black bulb (1 cc), which fills the pipette about half full. Refrigerate after opening. Best when given on an empty stomach. Continue for 10 days to two weeks. Repeat routine with each new season. 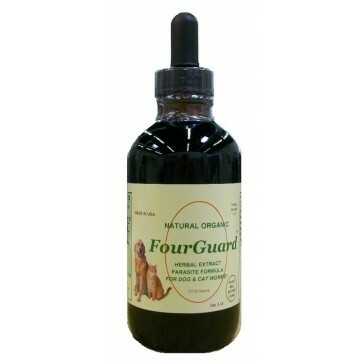 Note: One 118ml bottle of liquid FourGuard contains one complete treatment (10 days) for THREE medium size cats or dogs. Caution: Not recommended for kittens or puppies under 3 weeks or for elderly, pregnant or nursing animals. In case of tapeworms, we highly suggest combing Fourguard with TripleSure because in case of a flea infestation, your pet can become re-infected with worms in as little as two weeks. As a preventative (when symptoms are NOT present): Follow the above Dosing Instructions but give the daily dose of FourGuard only once per week, all year round. This is especially effective against Heartworm. 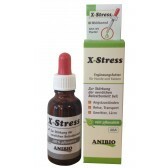 Extracts without alcohol Root Gentiana, Black Walnut Hull, Cloves and Papaya Leaf, distilled water, vegetable glycerin organic apple cider vinegar, citric acid, all certified USP (Pharmacopoeia Americana), Kosher, no GMO. 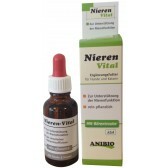 I used it for the cat it was immediately effective ; from the very first dose roundworms were expelled. I will use it as a prevention for other cats and dogs.